Öppenheten för livet ger en blixtlik insikt i andras livssituation. Ett krav: att från känslostinget driva problemet till en klart fattad intellektuell gestaltning – och handla därefter. Openness to life grants a swift insight – like a flash of lightning – into the life situation of others. A must: to force the problem from its emotional sting into a clearly conceived intellectual form – and act accordingly. Hans Corell (Sweden) was Under-Secretary-General for Legal Affairs and the Legal Counsel of the United Nations from March 1994 to March 2004. 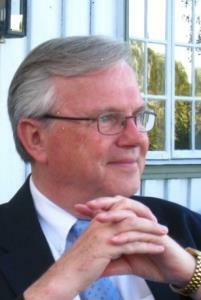 From 1962 to 1972, he served in the Swedish judiciary. In 1972, he joined the Ministry of Justice where he became Director of the Division for Administrative and Constitutional Law in 1979. In 1981, he was appointed Chief Legal Officer of the Ministry. He was Ambassador and Under-Secretary for Legal and Consular Affairs in the Ministry for Foreign Affairs from 1984 to 1994. Since his retirement from public service in 2004 he is engaged in many different activities in the legal field, inter alia as legal adviser, lecturer, and member of different boards. Among other, he is involved in the work of the International Bar Association, the Stockholm Center for International Law and Justice and the Hague Institute for Innovation of Law. He was Chairman of the Board of Trustees of the Raoul Wallenberg Institute of Human Rights and Humanitarian Law at Lund University, Sweden, from 2006-2012. Webpage last updated on 1 April 2019. Hans Corell © 2007-2019 All Rights Reserved.